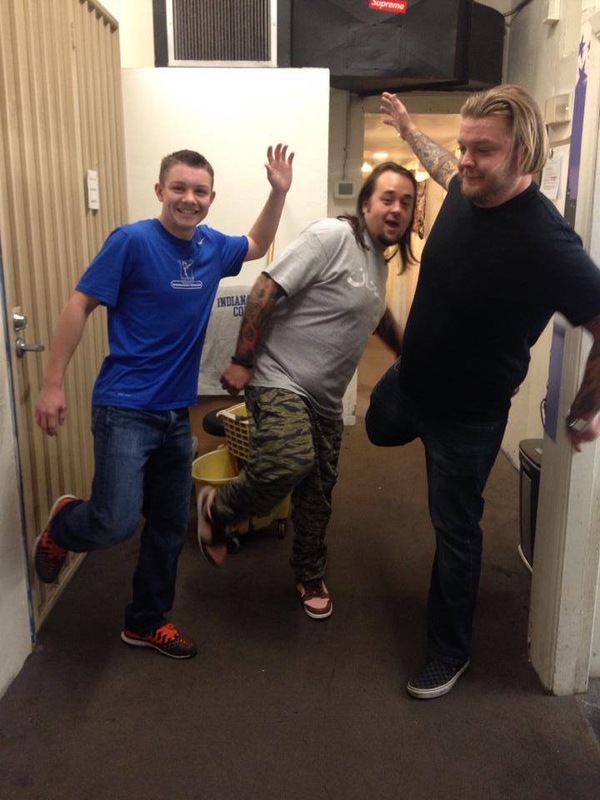 *Brandon & Alex will receive FREE Chris Sailer Kicking Camps for 1 Full Year! 1. You still have a long way to go with recruiting. Breathe, relax, take a chill pill. Bottom line, it is still early. Less than 5% of national specialists have made their college choices. Recruiting will go all the way through August. Believe me. 3. In the summer, you should attend the Chris Sailer Kicking College Camp for 4-year College Kickers/Punters to see how really compare to college Kickers/Punters. Welcome to the real world my friends. This is the time to work harder than ever and prepare for your future. Want to play in the NFL? It begins NOW! 5. Be SMART and end your high school career strong. Be nice to everyone on the way out and be ready to move on. Your past will effect your future at some point. The 2014 High School and College football season was an absolute great one. Chris Sailer Kicking Kickers & Punters enjoyed tremendous success and influenced the outcome of games week in and week out. Take a look at the many deserving national awards winners! Every year, Rubio and I have a contest as we head towards our big Vegas Events. The contest usually entails a kicker, punter or long snapper taking a creative photo either “Sailering” if you are a Kicker/Punter or “Rubioing” if you are a snapper. The contest entails you must follow @SOLOSHOTupdates on Twitter and Instagram, then whenever taking you’re desired photo of “Sailering” or “Rubioing” en route to VEGAS XXV, tag @Chris_Sailer (if you are a kicker/punter) or @TheChrisRubio (if you are a Long Snapper) as well as tagging @SOLOSHOTupdates on Twitter AND Instagram. One winner will be selected by Sailer / SoloShot and the other by Rubio /SoloShot for most creative post. May the best Kicker / Punter and long snapper win! Game on! Spring and Summer Kicking/Punting Camps are open to ALL levels Kickers/Punters. You do NOT have to be invited to attended and any spring and/or summer Chris Sailer Kicking Instructional Camps. These Kicking/Punting Camps are open to Kickers/Punters from 8th grade (younger with permission from Sailer) through college. The winners of each Spring camp receive a FREE admission to the May Vegas Event put on by Chris Sailer Kicking (travel and accommodations excluded). These camps are one day camps that offer instruction, film and classroom session, Kicking/Punting Discussion, NCSA recruiting meeting and Competition. Attending these camps gives you top notch instruction and the chance to be added to the Chris Sailer Kicking Player Ranking Section of the website. As you know, the Vegas Events are the biggest and best Kicking / Punting camps in the world. They are truly a national event to see how you compete against the best in the nation, and world. The May Event, or VEGAS XXVI, is the second largest Kicking / Punting camp that we run (VEGAS XXV in January is the biggest). The main difference is the weather and there are less seniors since many have already stepped onto their college campuses for their next stage of their life. Think of this as the SUPER BOWL for Kickers / Punters. No other kicking, punting & long snapping event comes close to the exposure offered by the National Kicking Events. Chris Sailer Kicking is, by far, the most credible recruiting source for Kickers / Punters in the country. The “TOP 12” and “EVENT ELITE” is the list to be on if you are seeking national exposure. From the Vegas Events, the Chris Sailer Kicking Staff will select the “TOP 12” Seniors/JC & the “TOP 12” Underclassman (January) and “Event Elite” (May). Over 90% of the “TOP 12” have received full ride D1A scholarships in the past. Over 99% members of the “TOP 12” have gone on to play college football. In addition the “TOP 12” Underclassman will be invited to attend an exclusive summer camp to train and compete amongst that elite group. The Competition Finals Round Winners in Vegas (FG, Punt, and LS) will receive FREE Chris Sailer Kicking Camps for 1 FULL YEAR. (Excludes transportation and Hotel). The Vegas Events offer the best exposure possible for Kickers / Punters. Chris Sailer Kicking has personal relationships with over 100 D1A Universities and many more at other levels. This is your chance to get recognized on a national scale. Chris Sailer Kicking works very closely with Scout.com, Rivals.com, Espn.com, etc. and have also been featured in Sports Illustrated, USA Today, The Wall Street Journal, Deadspin, etc. For the second year in a row, Chris Sailer Kicking & Rubio Long Snapping will be teaming up with FBU to run the specialists portions of their camps. FBU is the world’s largest football training service and has hired us to handle their Kicking, Punting & Long Snapping section. It is an honor and we are proud to do it again. It is a top notch organization that benefits countless athletes across the country. This year, Chris Sailer Kicking will be running more camps in order to hit more areas around the country. To be able to do this, I will only be at certain locations. The locations in italics are camps that I will personally be at this spring and summer. Those not in italics, will have senior Chris Sailer Kicking instructors in attendance (staff members that have been with me for well over 30 camps). They will follow the same format as myself and report directly to FBU and yours truly. We will be choosing the two Long Snappers that will participate in the US ARMY ALL-AMERICAN BOWL at the FBU TOP GUN CAMP in Ohio on July 16-18. Chris Sailer Kicking will also be selecting the East Bay Youth All-American for the Class of 2019 (Freshman All-American Bowl) and 2020 (8th Grade All-American Bowl) at the FBU TOP GUN CAMP in Ohio on July 16-18. You MUST be invited to the TOP GUN camp by performing well at one of the regional camps prior to the TOP GUN Camp. Bottom line, you will have to do well at one of the camps, that the Chris Sailer Kicking staff is in attendance at, to pick up an invite from myself and/or one of my senior instructors. To register for an FBU camp, use Code CS15. It is a benefit to be invited due to being a Chris Sailer Kicking Student. The TOP GUN Codes will be given out once you attend an FBU Regional Camp. This camp will be ONLY for 4 year university college Kickers / Punters or those entering into a 4 year university. 1st year JC and freshman, sophomores and juniors in high school can NOT attend this camp. This will be a very high level camp that will be run similarly to the TOP 12 and EVENT ELITE camp. Cost of the camp will include hotel, transportation to the fields and the instruction. This camp is built for Kickers / Punters looking to dominate the college camp and get ready for the NFL. You (the specialists) asked for it, you got it. They (NFL coaches) asked for it, they got it. As you know, Chris Rubio and myself have always run the biggest and best exposure camps for high school Kickers, Punters and Long Snappers. Now it is time for us to move completely into the NFL realm to give the needed exposure to our college athletes. Chris Sailer and myself have been asked COUNTLESS times to run a free agent camps since it is something that has been lacking for quite some time in the world of specialists. It is now time. This one day camp will be a showcase for NFL coaches. There will be little coaching (you shouldn’t need a ton if you are at this camp) as this camp will all be about exposure. NFL coaches and personnel will be on hand to personally see the Long Snappers in action. In order to attend this camp, you must be out of college and be eligible for the NFL draft or an NFL Free Agent. This camp is open ONLY to those invited personally by Chris Sailer. You are chosen to attend this camp by performing extremely well at either the January or May National Events in Las Vegas. Do NOT sign up for this camp unless you have been formally invited by Chris Sailer. Former “TOP 12” and “EVENT ELITE” members includes countless college and NFL players, All-Americans, NFL Pro Bowlers and Super Bowl participants. Some Kicking / Punting “TOP 12” Alumni: Ryan Succop (Tennessee Titans), Justin Tucker (Baltimore Ravens), Blair Walsh (Minnesota Vikings), Dan Bailey (Dallas Cowboys), Kai Forbath (Washington Redskins), Randy Bullock (Houston Texans), Cody Parkey (Philadelphia Eagles), Jeff Locke (Minnesota Vikings), Bryan Anger (Jacksonville Jaguars), Bradley Nortman (Carolina Panthers), Ryan Allen (New England Patriots), Colton Schmidt (Buffalo Bills), Tress Way (Washington Redskins)….to name a few! The “TOP 12” is chosen after the January Event (VEGAS XXV) and the “EVENT ELITE” is chosen after the spring Event (VEGAS XXVI). There are obviously 12 chosen for the “TOP 12” and there is no set number for the “EVENT ELITE”. Those that deserve it and are top of their class in May, get chosen…it could be one, it could be 20. The success rate of those we have been selected in the past that go on to play college football (most on scholarship) is over 95%. You will almost think of this Event as a baby “TOP 12” & “EVENT ELITE” Camp. This two day event is a camp that Chris Sailer Kicking will be completely gearing towards the athletes and their parents/guardians. This camp is meant to not only get the athletes headed in the right direction in the beginning and middle of their high school careers, but also the parents as well. It will provide information regarding nutrition, social media, recruiting, film, education and, of course, on field instruction. This event is just as much for the parents/guardians as it is the athletes! College recruiting for Kickers / Punters is finally getting where it needs to be. Scholarships are being offered earlier and earlier each year. Early exposure is necessary these days. The Chris Sailer Kicking Underclassmen “Invite Only” Event is the perfect opportunity to make a name for yourself and solidify your national ranking at the perfect time. The middle of the summer is now the time college coaches build their underclassmen lists. You want to be on that list. This camp will get you there. It is also your first opportunity to prove that you are a “TOP 12” candidate in your class. The camp is set for early July for a reason, college coaches asked us to do this. They want the inside track early. Don’t be surprised to see more and more underclassmen offered during the season in the near future. 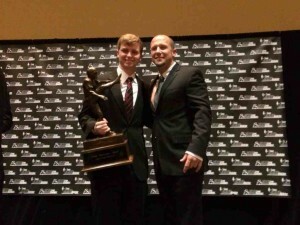 Each year, The Chris Sailer Award is presented to the national high school Placekicker of the Year. The award is given out the day before the largest Kicking, Punting & Long Snapping event in the world in January in Las Vegas. 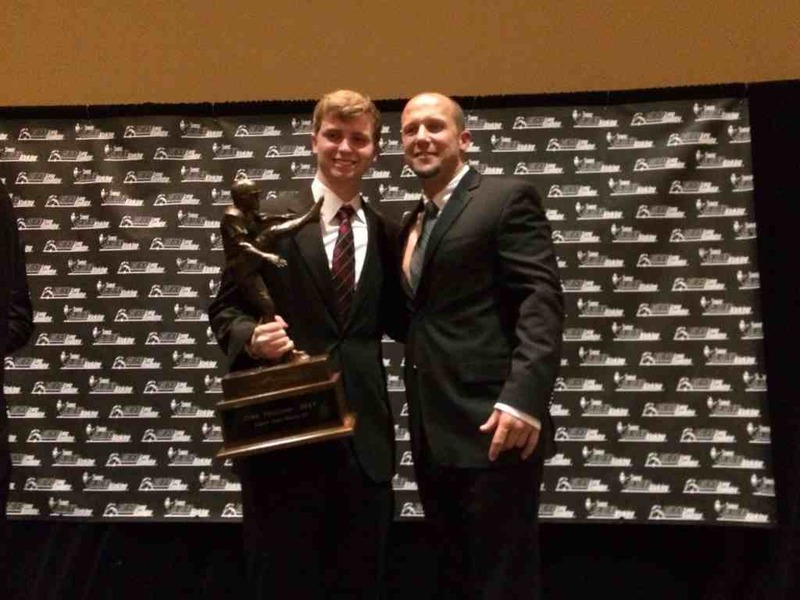 This year, The Chris Sailer Award will be presented to a lucky, and very deserving placekicker, on January 16th at the JW Marriott in Las Vegas. It is open to all and attire is casual. Doors will open at 7 pm at the JW Marriott in the Valencia Ballroom (follow the signs). Trust me when I tell you, you will NOT want to miss this as new MC’s will be hosting AND we will be presenting other awards as well. 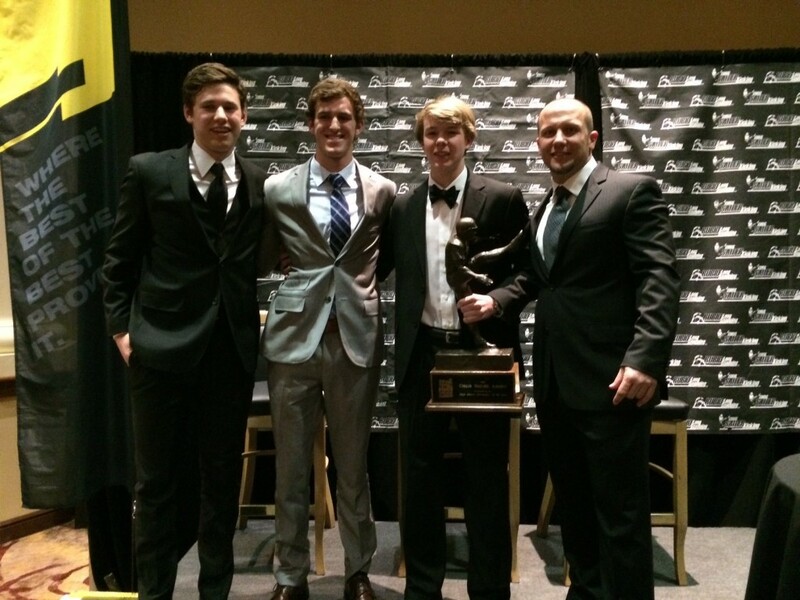 5. Who is on the Chris Sailer Award Selection Committee and what is their role? They are the people that vote on the winner. Each committee member votes for a 1st, 2nd and 3rd place finisher. Votes are tallied and the winner is announced at the awards banquet. 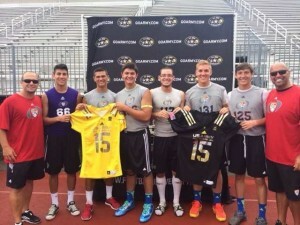 As you know, Chris Sailer Kicking chooses the Kickers & Punters for the U.S. Army All-American Bowl. This bowl, which is the largest high school all-star game in the world, takes place in early January at the Alamodome in San Antonio, TX and highlights the top high school athletes in the country. Register for an FBU camp that Chris Sailer Kicking will be running in the spring and summer. PLEASE NOTE: Chris Sailer Kicking will only be at certain locations and those locations will be announced by the end of the month. Once the dates are posted, you can obtain an invite code to the camp by contacting Chris Sailer Kicking or FBU directly. Do well at the FBU camp you participated in and then you get invited to the TOP GUN camp run by FBU in June. Dominate the TOP GUN camp in June. 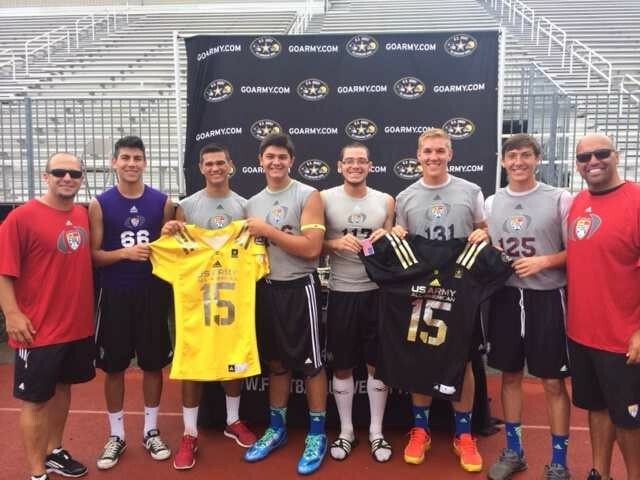 The two top Kickers & two top Punters over the two day camp will be chosen as Army Bowl All-Americans!